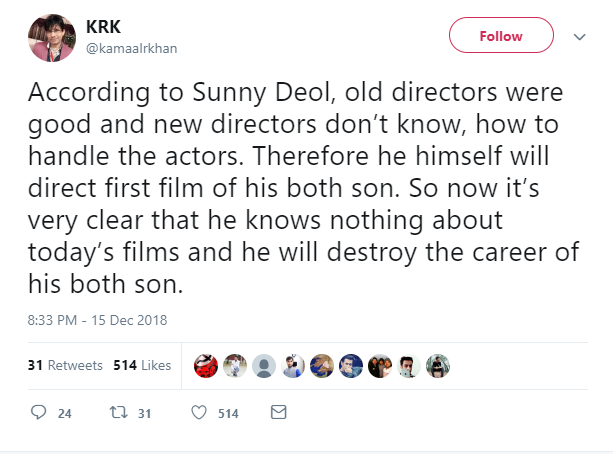 When KRK uses two languages horribly. 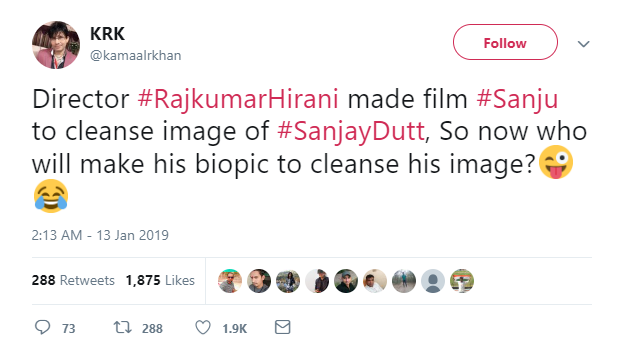 When he is so confident on 'Besharam' being the biggest flop. 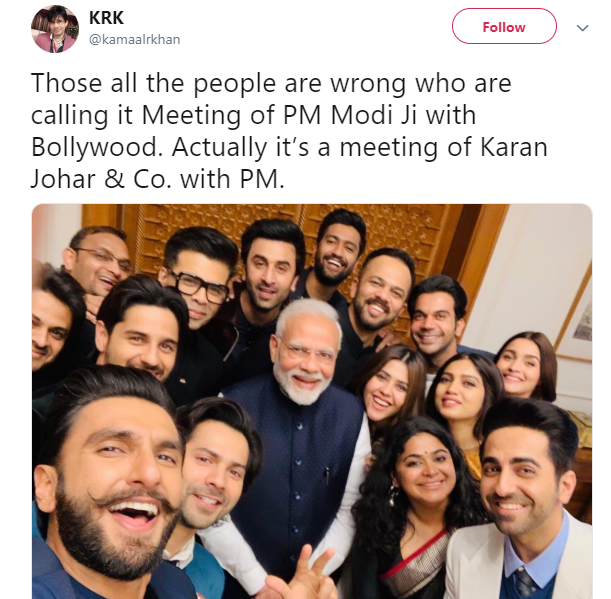 When he took a jibe at Karan Johar and several other actors. 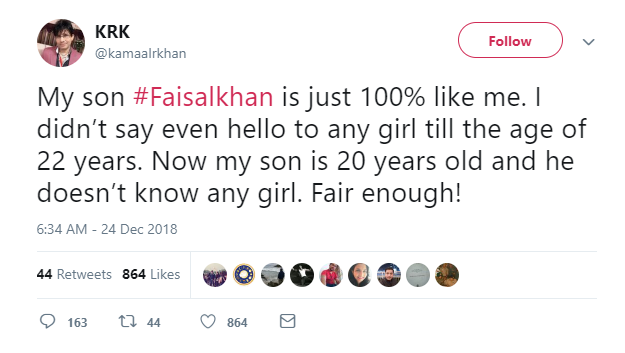 KRK himself confesses of not being famous among girls! 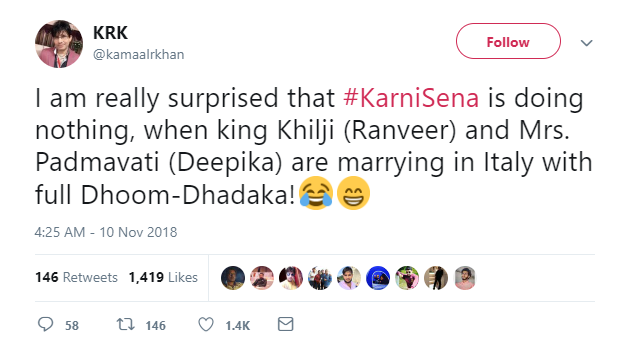 With this tweet he didn't even spare the Karni Sena. 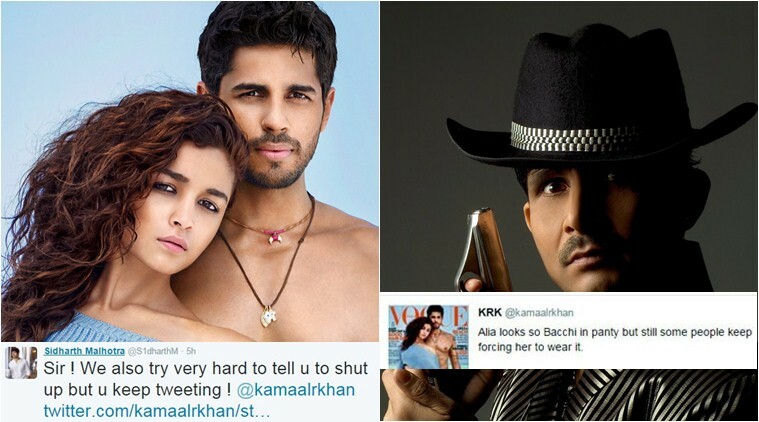 KRK jokingly apologizes to Kangana Ranaut and asks her to spare him! 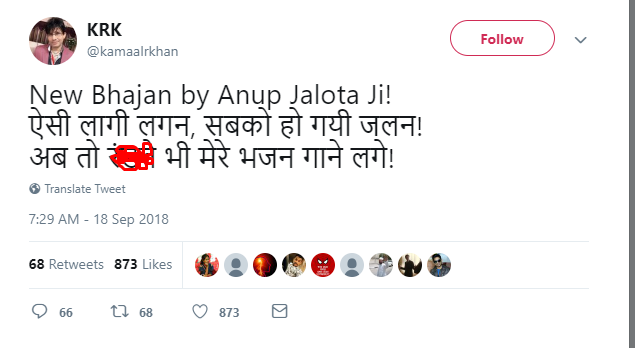 When he asked for subtitle for a Hindi film. 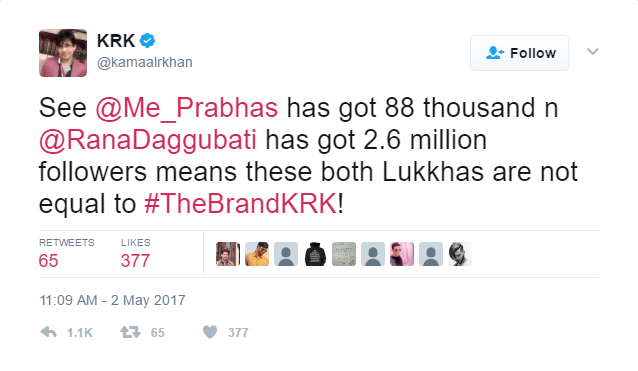 When KRK called 'Baahubali' team Lukkhas while comparing them with the brand KRK. 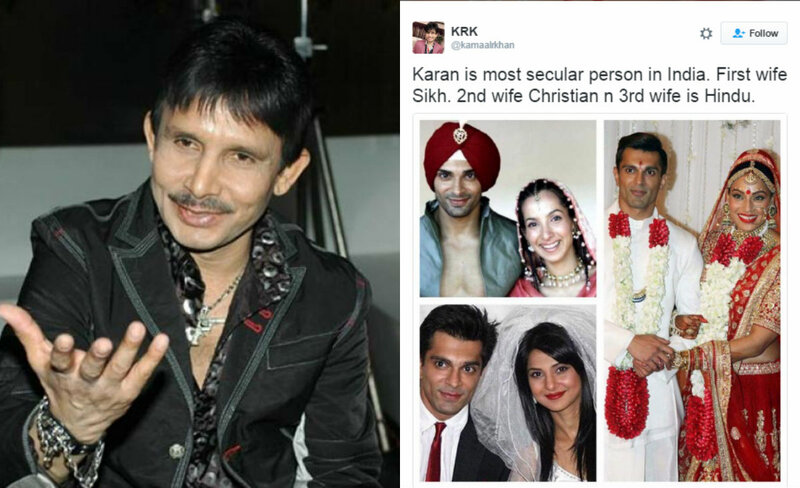 When KRK used Karan Singh Grover's personal life to send a social message. 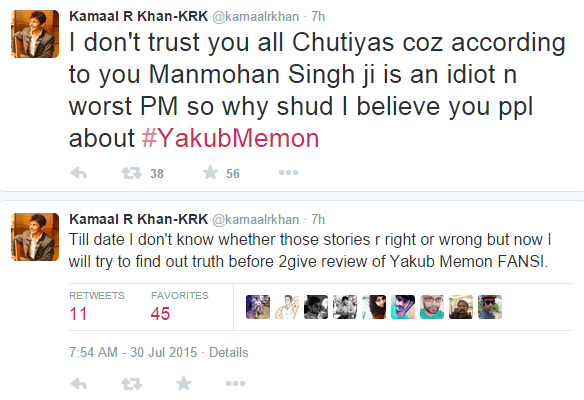 Makes fun of himself, as I wonder who will kiss KRK? This man is really something else. 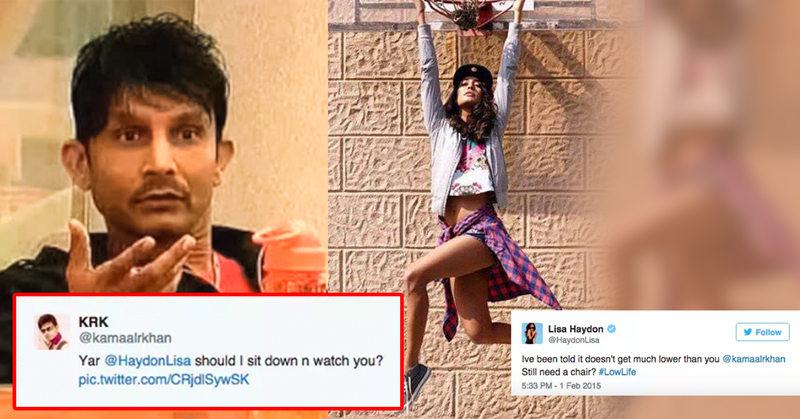 KRK offers Rs 20 crore to Deepika and makes us think whether he even has this much money! 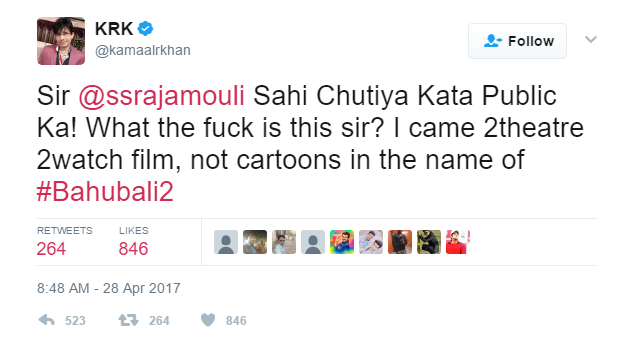 KRK slammed a painter with Sunny Leone’s 'Baby Doll' song reference. Diana knows how to deal with him. This is height of everything. 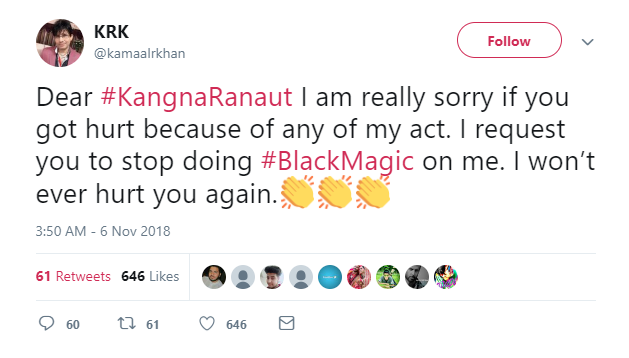 We wonder what Karan has to say about this. 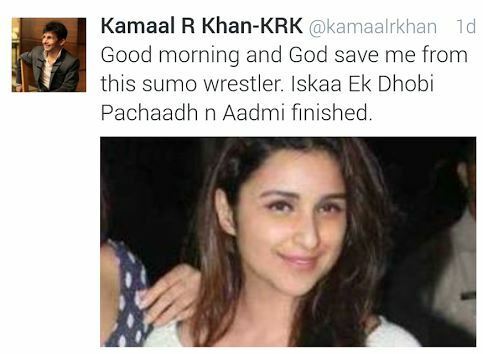 When he made Dhobi Pachaad jibe at Parineeti.